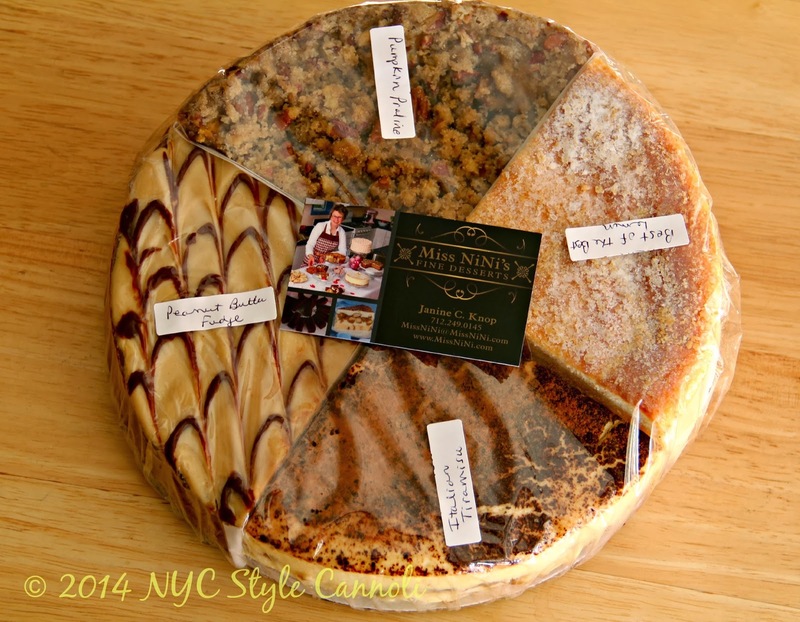 Disclousure: I received Miss NiNi's Cheesecake Sampler for the purpose of this review. The opinions expressed here are completely my own based on my own experience with this product. I only recommend products and/or services that I have personally used or feel will be good for my readers. 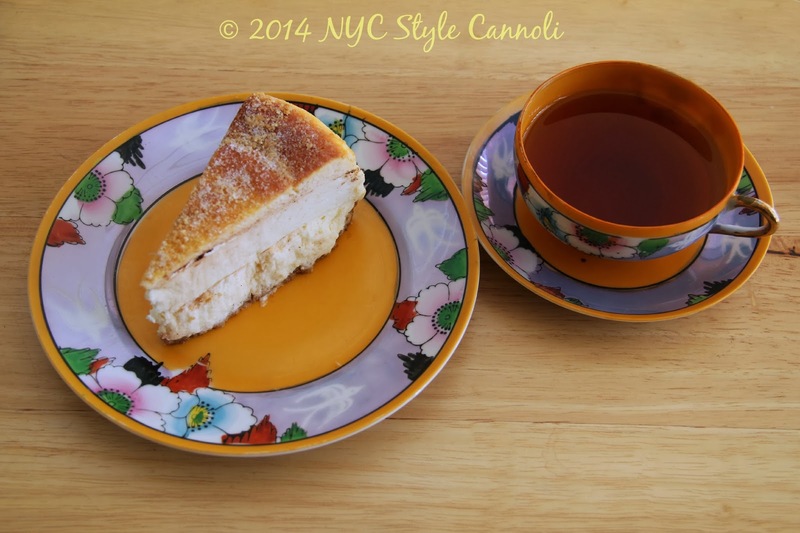 I was thrilled to be contacted to see if I wished to try Miss NiNi's Cheesecake Sampler! I am a huge fan of cheesecake, and am always excited to try something new. Miss NiNi has been awarded several blue ribbons for her baking in the famous Iowa State Fair, so she really knows what she is doing! I really love the idea of a 4 flavor cheesecake, as usually at family gatherings or parties, folks like different flavors of dessert. This is a great way to give everyone a little something of what they like, without having to purchase various desserts at once. The size of this is quite large, 9 inch diameter, serving 12-16 guests. My flavors which I picked were: Best of the Best Lemon (for my Mom), Peanut Butter Fudge, Pumpkin Praline and Italian Tiramisu. 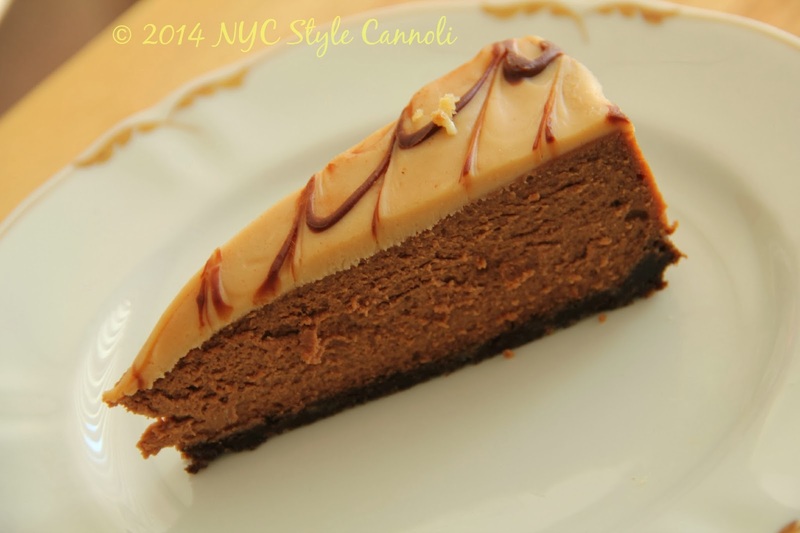 They are also available as a full size cheesecake as well if you have a flavor you really love! 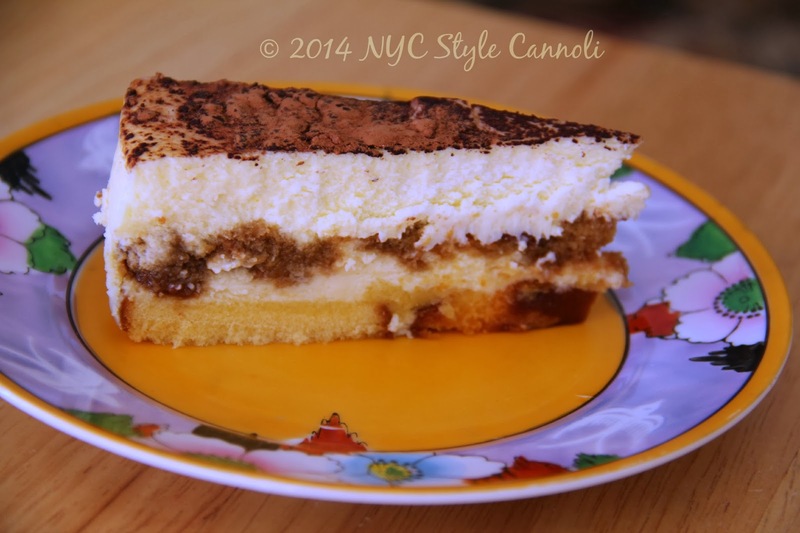 The Italian Tiramisu was really the first we had to try. So light and fluffy, not overly sweet, such a refreshing dessert!! I am so happy to find a cheesecake that is not "heavy" or make you feel too full after enjoying some with your cup of tea or coffee. My whole family just loves peanut butter so the Peanut Butter Fudge was a must! I really like the fact that these cheesecakes are so light and airy, and not overly sweet. The flavor is so intense, the cheesecake so fresh. This also sits atop a peanut butter crust. Heaven! The Best of the Best Lemon was ordered for my Mom. She had been in the hospital when this arrived, so it was good incentive for her to get back home quickly. My Mom loves lemon anything, especially cheesecake. I can't begin to say how wonderful this flavor tasted. Full-flavored, delicate and divine are some of the words to describe this cheesecake. Would make a great Mother's Day gift if your Mom too is a lover of lemon desserts!! 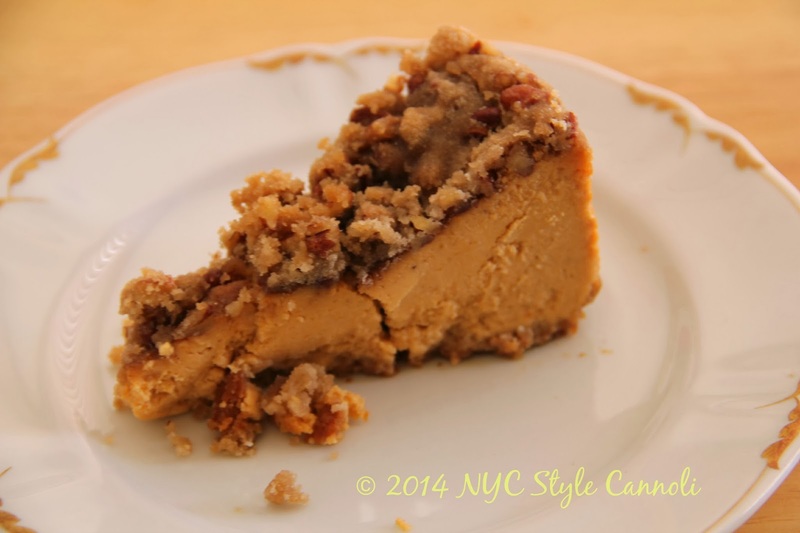 Pumpkin Praline Cheesecake was just another fine example that Miss NiNi knows how to bake, and bake extremely well. The topping was out-of-this-world pecans, cinnamon sugar crumble. The smoothness of these cheesecakes is such a treat to the palate. I am so thrilled I was able to be introduced to Miss Ni Ni's Fine Desserts and to be able to bring these luscious selections to my readers!! What flavor would you choose for your "Create Your Own Cheesecake"? It can be very hard just picking 4 selections, believe me!! 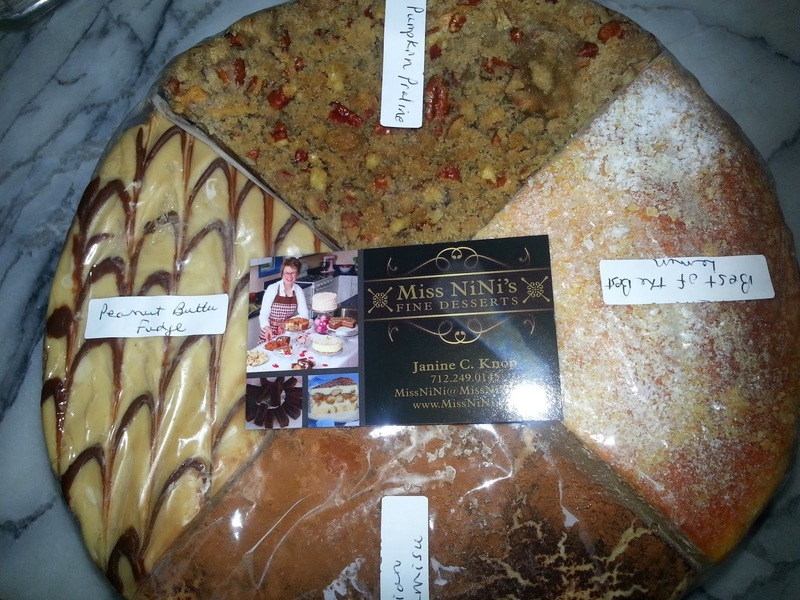 These now ship nationwide, along with some other fantastic dessert offerings on the Miss NiNi Fine Desserts website. Miss NiNi's cheesecake flavors include Peanut Butter Fudge, Italian Tiramisu, Creamy Vanilla, Lemon Raspberry Swirl, Caramel Chocolate Chunk, Decadent Turtle, Best of the Best Lemon, Velvet Fudge, Pumpkin Praline, and Chocolate Raspberry. 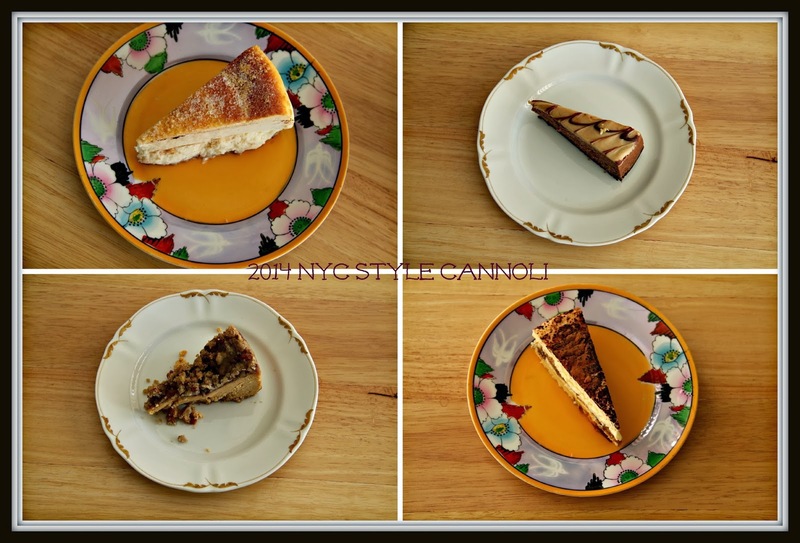 Miss NiNi takes 'gourmet' and 'homemade' to the next level with recipes and proprietary baking methods to create mouthwatering cheesecakes that'll make you rave about the memory of sweet richness that lingers long after the last delectable crumb has been enjoyed. Until now, Miss NiNi's delicious desserts were only available in the Midwest. After receiving countless inquiries from all over the country, Miss NiNi has taken her small-town Iowa bakery business and made her cheesecakes available nationwide. In essence, Miss NiNi has every quality one could possibly want in a grandma. She exudes warmth, is always smiling, has a soothing voice, and she gives the best hugs. Combine that with her knack for creating perfect desserts, and you've got the world's best grandma. Oh my these look delicious !! !what a great gift idea too! Like you, I LOVE cheesecake, and these look absolutely sinful! Would be a great gift for Valentine's Day or Easter dinner for sure! Love the idea of different flavors in one cheesecake. Looks so delicious. I would like to try the Italian tiramisu. I haven't tried that before. The tiramisu was really quite fabulous Amazing flavor!! Yum! Those were definitely some great choices! I just went and bookmarked the website for Miss NiNi.